JamSpring is a revolutionary new app and virtual community that will help musicians at any level shatter their creative limits. Its sole purpose is to shatter the barriers keeping people from expressing their musical ideas, which gives them the liberty to create the incredible music.It encourages the musicians to capture the unique ideas and collaborate with others, anytime, anywhere, with one of a kind listening technology and suggestion engine, JamSpring. Darren T. Brady- the CEO and Dan Ward- Chief Technology Officer founded JamSpring in 2014. The power duo, from the Great State of New Jersey is comrades and business partners who share a common love for guitar tabs. Sam Doha, the Chief Music Officer is a former record producer and professional musician and currently adding creativity to JamSpring. The JamSpring team includes passionate musicians. “We are driven by the notion of empowering others to realize the full scope of their musical potential by providing a solution that shatters the very same creative barriers which held us back.” expressed Darren Brady – co-founder & CEO. 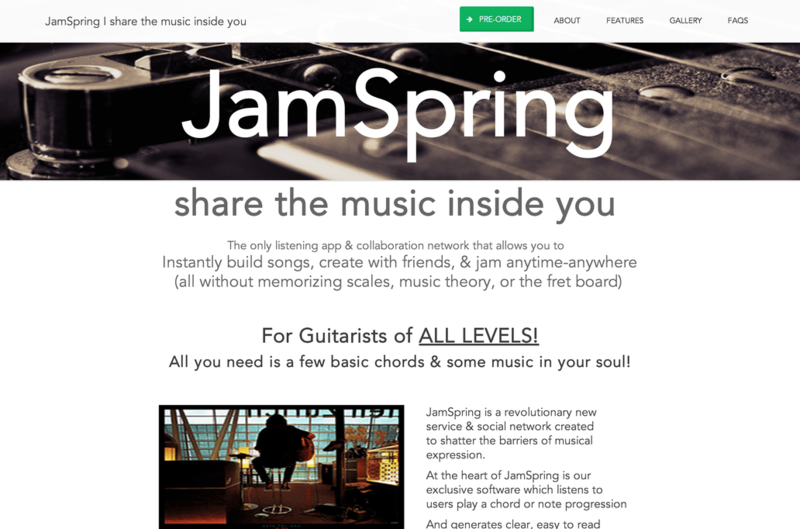 JamSpring gives freedom at all levels for the musicians to overcome creative limitations. It is contending with universal challenges faced by composers worldwide in powerful ways integrated in a beautiful and robust mobile technology. either directly via their mobile device’s microphone and speakers or through externally linked accessories for greater flexibility and sound quality i.e. Bluetooth microphones etc. JamSpring’s unique listening technology identifies the key of an underlying track and then provides clear, simple to follow-yet extremely robust-visual suggestions for how additional complementary parts (i.e. chords, riffs, solos etc). JamSpring provides a user-to-user sharing platform so that at any point tracks can be shared between members allowing for remote song construction, collaboration, and recording, meaning that time and distance are no longer impediments to making music with others. JamSpring takes a completely different angle by combining elements of each along with our one of a kind listening technology and audio responsive suggestion engine creating an experience which focuses on unlocking the creativity. No other competitor addresses this problem in the same way JamSpring does! Another exciting key differentiator with JamSpring will be the ability to combine a multi-track pocket recording studio with a robust user-to-user, and ultimately web-based, sharing/collaboration platform so that individuals are able to create and record music with other JamSpring users remotely regardless of time or location. “We want JamSpring to wake a torrent of slumbering musical potential across the globe and in the process create an iconic and enduring brand” –Darren Brady. JamSpring has a strong foresight to become a full-fledged social network and virtual community for music fanatics to create and manage public/private profile pages. Through such pages users will be able to post songs, invite other users to contribute to them, form virtual bands and search for others who share their interests or fill skill gaps. Initially JamSpring will be offered as a paid app available on iOS, Android and Microsoft Windows devices. JamSpring intends to offer a host of additional services and products in the future. We also intend to expand the collaboration and sharing aspects of the platform to morph JamSpring into a global web-based hub. JamSpring’s target market can most broadly be defined as musicians, singers and songwriters. 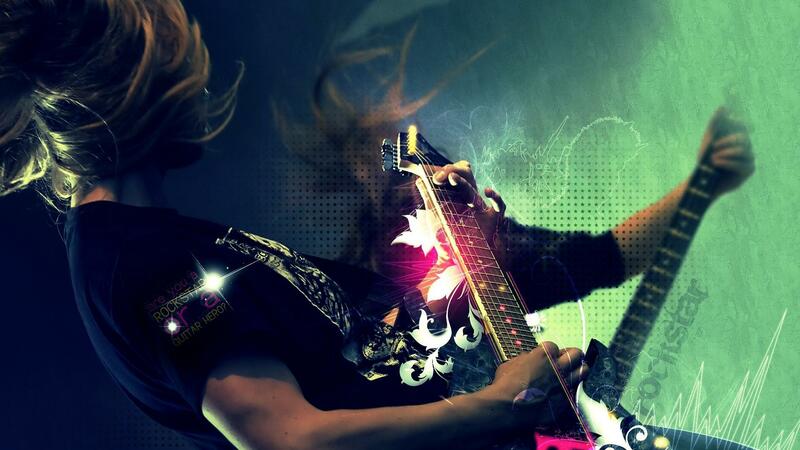 It emphasis on guitar players who own an iOS , Android, or MSFT Windows compatible mobile device. Previous articleManage Your Accounts and Important Documents With Datamolino! Next articleLegalTrek: The Proficient Tool For Legal Firms!